In this tutorial I'll show you how I use the Envelope Distort feature in Adobe Illustrator to warp text, creating a vintage badge or logo design. After that we'll add some additional text, photos and textures to complete the piece. Let's dive right in and see how easy this process can be. So much of this look is based on the right vector and font selection. There are plenty of fonts available at MediaLoot or here at WeGraphics and around the web. Same goes for vectors, or you can always draw your own as I've done for this tutorial. 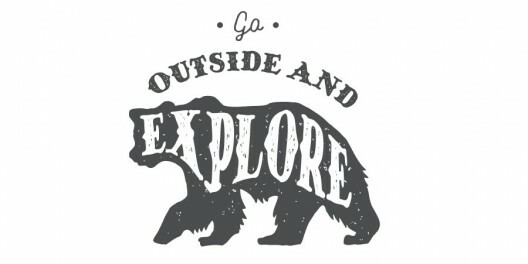 I chose a bear since I plan for this design to have an outdoor/forest theme. My font is also hand drawn and fits the theme nicely. 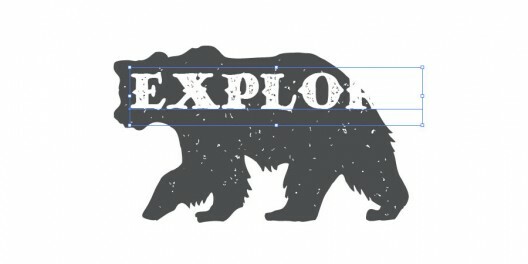 In Illustrator, I placed the text over the bear and lined the "E" up over the bear's head. With the text selected choose Object | Envelope Distort | Make with Warp. Set everything to zero and click okay. 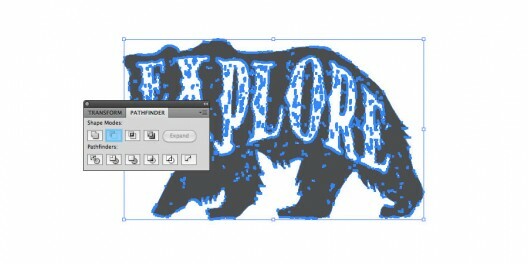 Using the Direct Selection Tool (A), you can grab the points around the text and begin moving and bending the letters around the shape of the bear. Once you have the text the way you want it, click Object | Expand to convert the warped text to a shape. Now you can punch the text shape out of the bear. With the text selected, click Object | Compound Path | Make. 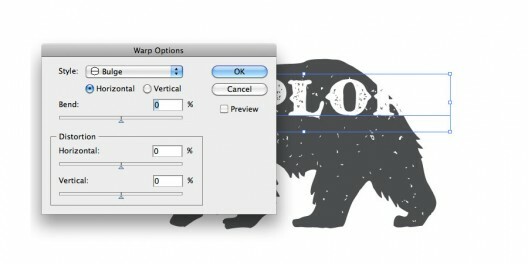 Now select both the text shape and the bear and click the Minus Front button on the Pathfinder panel. Next up, let's add some supporting text to complete our badge design. 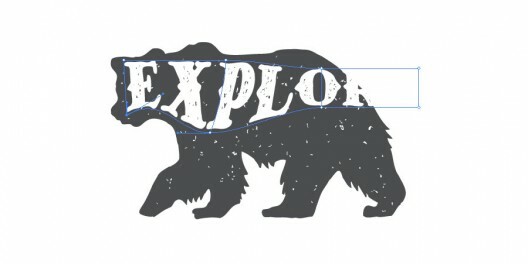 Using the Ellipse Tool (L) draw a large circle around the bear with no fill or stroke. 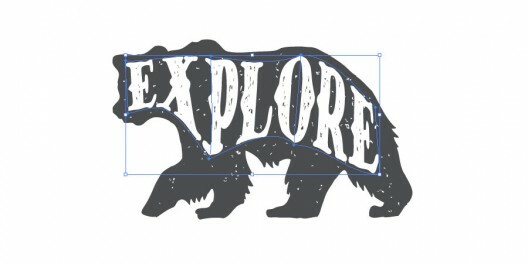 Now using the Type on a Path Tool, click the circle and type some text that will bend around the bear shape. 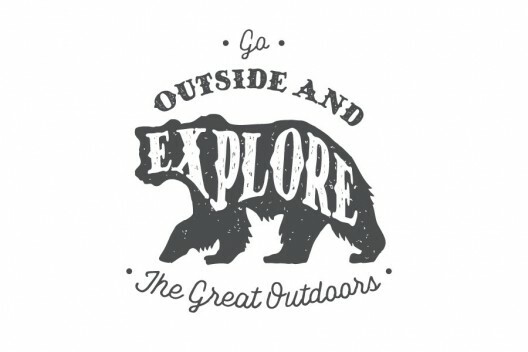 I added "Go" above the circle type using a secondary script font that I also hand drew. 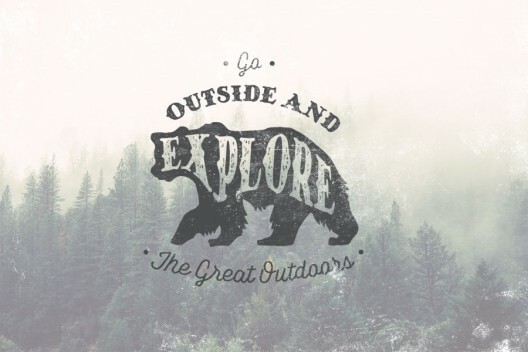 I also added a couple of small circles on either side of the word. 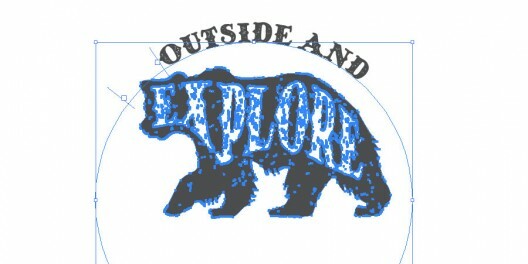 Below the bear I added some more type to complete the full sentence that occurs throughout the design. I used the script font as the word "Go" to tie it all together. I also warped the text slightly using Effect | Warp | Arc. Now that we have our completed badge, let's jump over to Photoshop to add some background elements and more texture. Create a new document in PS, mine is 1050x700. 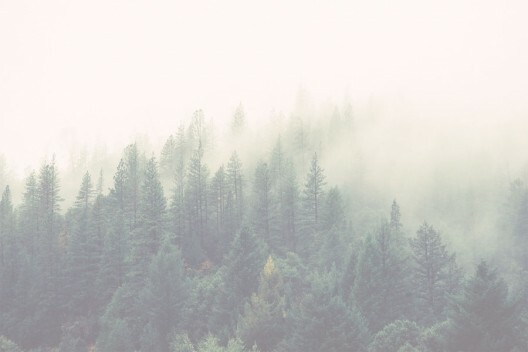 For the background I chose this incredible forest photo from Unsplash. Add a Color Fill adjustment layer above the photo and use #fef8f5 for the color. Reduce it's opacity to 55%. Back over in Illustrator select all of the badge design and copy (Ctrl+C) and the move back to PS and paste (Ctrl+V) the badge to our new document. Select "Paste as: Pixels" from the dialog box that appears. To wrap things up, let's add a texture scuff it up a bit. I grabbed this black texture, and placed it on a layer above all others. The blend mode for this texture layer should be set to Screen so that only the white portion shows through. Finally, I added a Gradient Map adjustment layer to blend the colors of the entire piece a bit better. I used a gradient of blue #0a2f59 to yellow #ffefa5. I set the opacity of this layer to 50%. I hope this tutorial showed you how easy it is to create a vintage typographic design using Envelope Distort in Illustrator. I'd love to see your results! Feel free to share them using the comment fields below.